Description: Every company has their own business model. After receiving an order from customer, they have a certain procedure to follow. 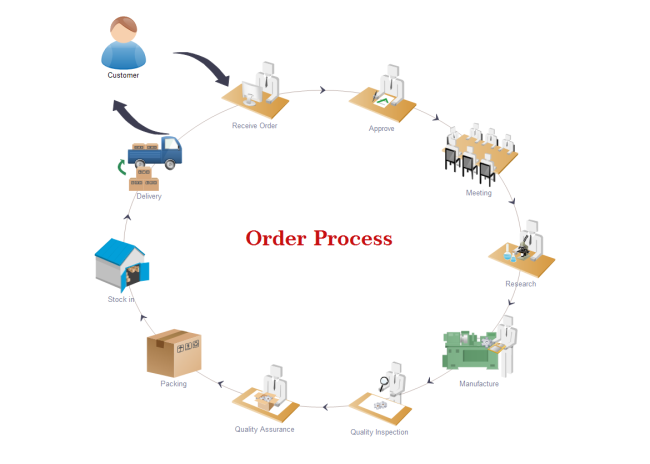 On the left is an order process workflow template created with visual graphics. You can download and use it at any time.